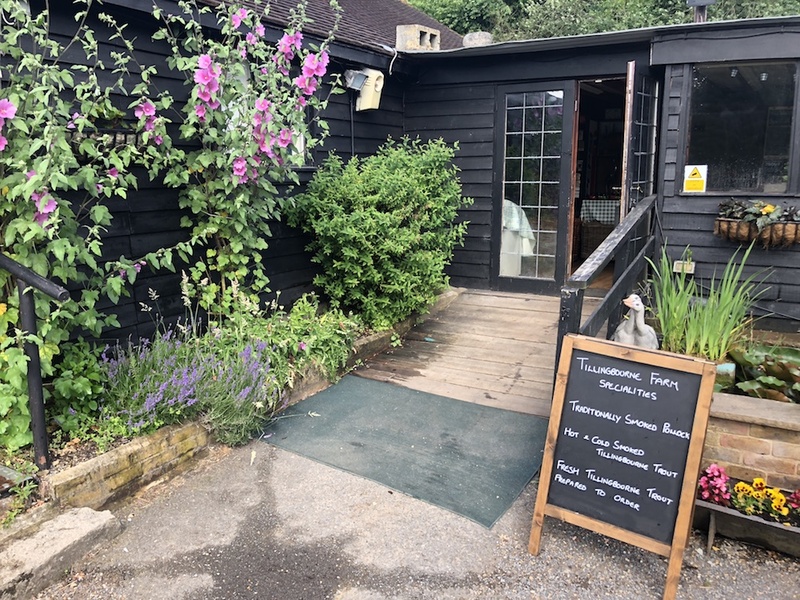 We are a local, independent and family run business in Abinger Hammer, Surrey. We purchased the Trout Farm back in June 1999 and since then have expanded and grown the business in to what you see today. We also regularly attend a number of local farmers’ markets in and around Surrey. Prior to owning the fish farm, we ran a number of various other fisheries, located in the South of England. When Tillingbourne came up for sale we thought this would be a lovely edition to our existing waters, as within the grounds of the farm was a one and half acre coarse fishery. We quickly realized that we hadn’t just purchased another coarse fishery, but an interesting and diverse business in an extremely beautiful area. So we put our heads together and got down to do our homework, learning every aspect of the smoking fish, managing the land and running a food/retail business. 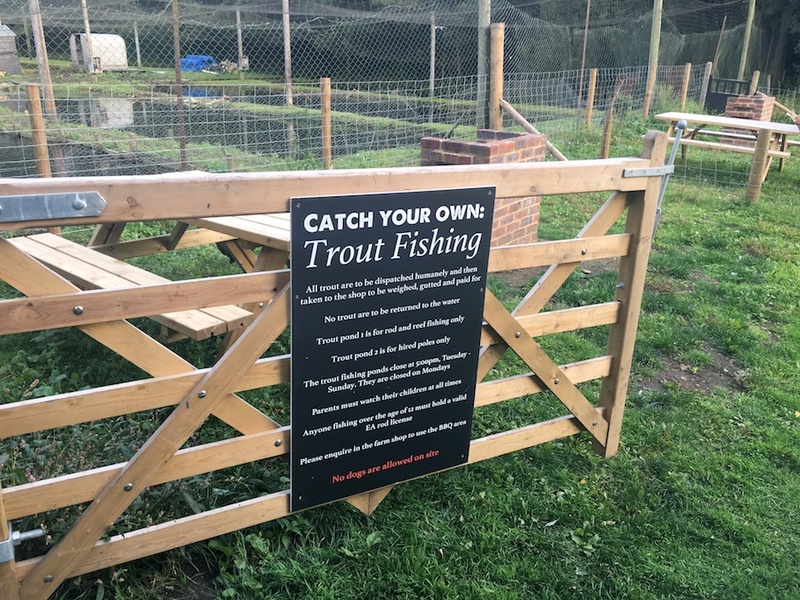 The site at Tillingbourne Trout Farm covers five acres: The fish farm is half an acre, the fisheries cover one and half acres and the remaining three acres are surrounding fields and land, all of which are regularly maintained. Within the last two years, we have started doing some new and exciting ventures at the farm. 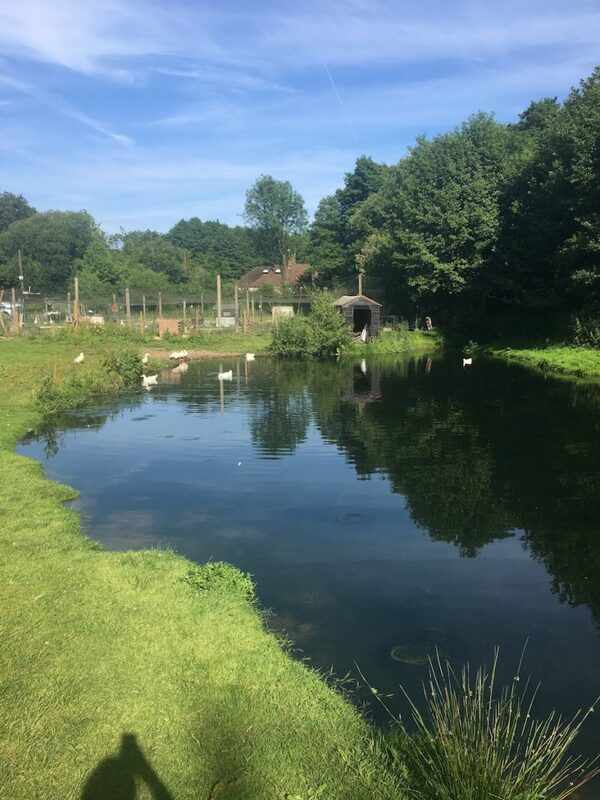 We have created a number of livestock paddocks, which are now home to a flock of ducks, various breeds of chickens, a herd of Surrey lambs and a llama. A flock of geese reside within the fish farm enclosure, which when in season provide us with fresh goose eggs. We’ve also installed two new BBQ’s on site around the trout pond, perfect for picnics and parties. These need to be booked in advance, so make sure you get in touch if you’re looking for a cheap day out in the nice weather, one weekend.